This Thanksgiving dinner menu has Latin-inspired twists. Try a new take on the turkey—and discover new favorite desserts. 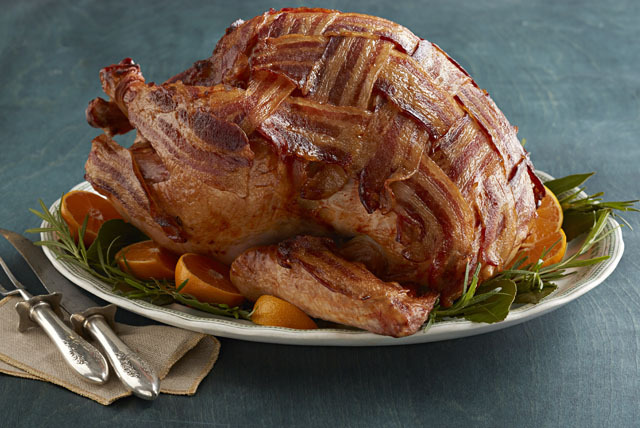 You know how the crowd goes wild when you bring out the bacon-wrapped appetizers? Imagine how they'll react to the star of the Thanksgiving menu. Watch the video for step-by-step directions, and check out our turkey tips for more help. 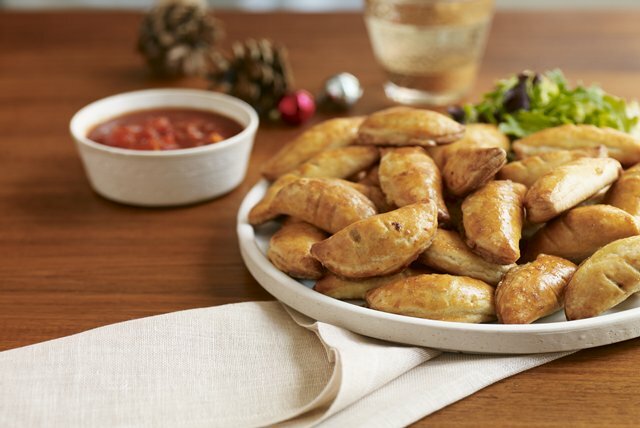 Here’s a welcome addition to the Thanksgiving appetizer category: empanadas. We’re fond of all mini recipes, but especially those stuffed with spicy ground pork! Latin or not, a winter holiday menu simply isn't complete without something with cranberries—and some sort of JELL-O Salad! 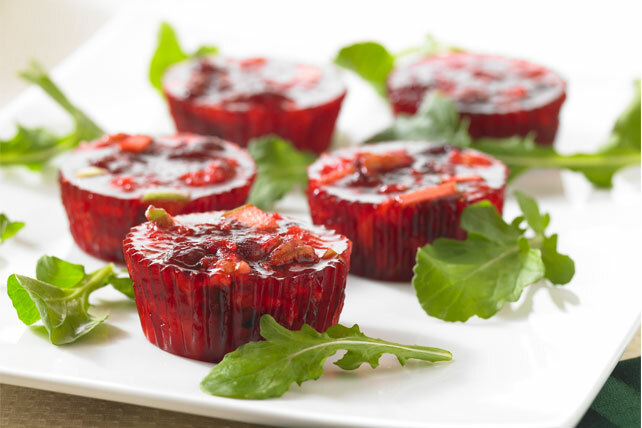 These juicy little bites fill the bill. As you know, some kind of sweet potato recipe is essential in the Thanksgiving side dish line-up. 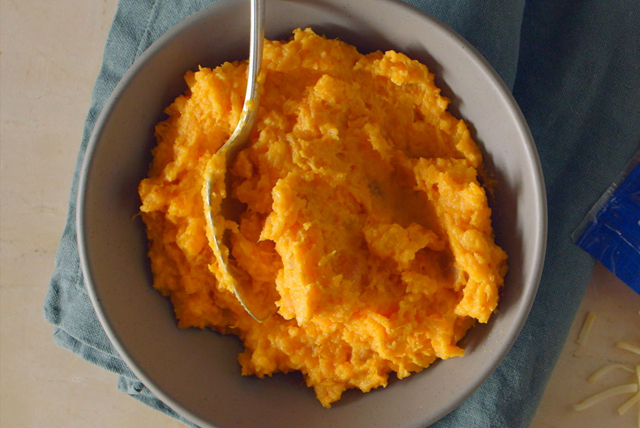 This one is as easy as mashed potatoes—but made with sweet potatoes (and only two other ingredients). 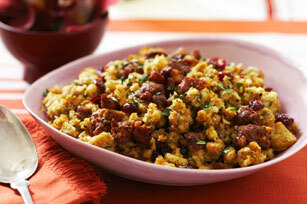 Spicy chorizo, cranberries and fresh cilantro give this turkey stuffing recipe its Latin flair. With any luck, you'll have leftovers you can use in delicious day-after stuffing recipes and leftover turkey dishes. With Thanksgiving desserts like this one, it's really essential that people leave room for the course! 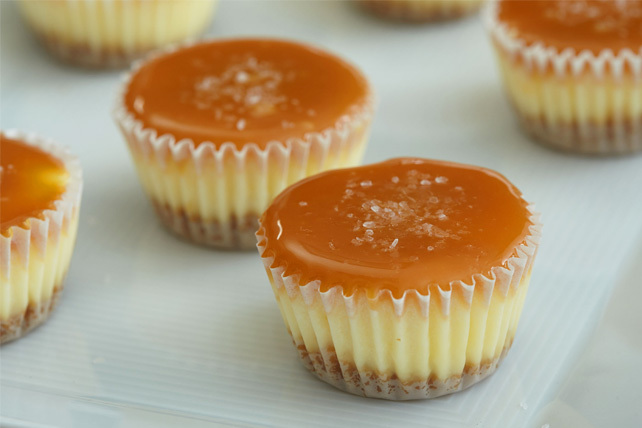 This one is a combination of two favorites—cheesecake and caramel treats. 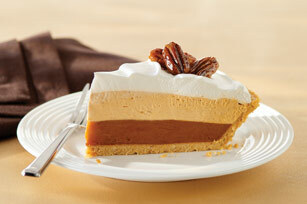 Whether the menu is traditional or not, guest will revolt if you don't serve some kind of pumpkin pie. But it can be an extraordinary one—like this layered dessert. Vive la pumpkin spice recipes!